If you plan on leaving cats alone for 3 days, there are some things you must consider first. While cats are well known for their self-reliance, they still need our care. And some cats will be more reliant on people than others. But with proper planning and preparation, your cats should be able to take pretty good care of themselves for a few days. If your leaving your cats alone for the first time, a three day period might be a little too long for a first try. A good way to make sure your cat is acclimated to being left alone, is to try leaving your cats alone for 24 hours first. If they handle that well, then build up to leaving your cats alone for 2 nights. 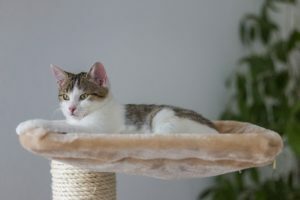 Once you’re sure your cats will be fine, when left alone for extended periods, a three day period won’t seem so daunting. While most cats will easily adapt to being left alone, it still can be an uncomfortable experience for them. They will be using a litter box that hasn’t been changed for quite some time. They will also have to eat food that has been sitting out. As for water, they will be drinking old water, or they could even run out. 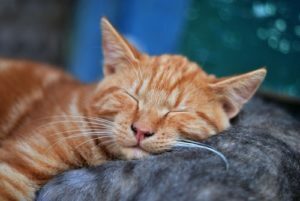 Even if your cats seem to do fine while you are gone, these issues may affect their health and well-being. In order to help alleviate some of the problems your cats could have while you are gone, it’s best to prepare ahead of time. 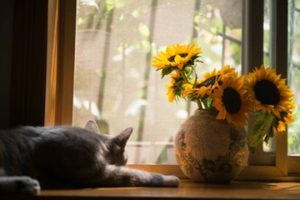 If you make specific changes to the way you handle your cats daily routine. You can make your absence more bearable for them once you are gone. The following sections will address the major needs of your cats, and how to address them while you are away. If you are planning on leaving your cats alone for 3 days, you will have to make sure they are well fed for the whole time you are gone. 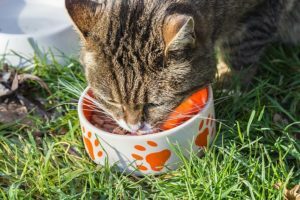 This might require a change in the way you feed your cats, that could be different from when you are home. And while it might be possible to change your cat’s diet and feeding routine for just the three days you are away. It would be a better idea to implement a different feeding process altogether. If you do this well in advance of your absence, your cats will get used to it before you go. And if you plan on leaving your cats alone more often, then making some of these feeding changes permanent, might be a good idea. If you are currently feeding your cats wet food, this will not be possible while you are away. Wet food once opened can only be allowed to sit out for less than two hours. The reason why you can’t leave wet food out is due to bacterial growth. The risk of your cats getting sick is increased the longer you let wet food sit at room temperature. For this reason, switching to a dry food diet will be necessary, if you plan on leaving your cats alone for an extended period of time. 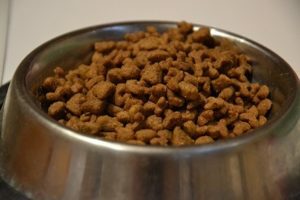 Dry cat food is the safer option, due to the fact that it can be left out for a week or more and still remain safe to eat. If your cats are not used to eating a dry cat food, you should start giving them small amounts before you plan on leaving them alone. This will give you a chance to see if they will even eat their food when you are gone. And while a diet of only dry food is not recommended for extended periods, three days of eating dry food shouldn’t cause any problems. And if you plan on leaving your cats alone more often in the future. Keep giving your cats small amounts of dry food, along with their wet food to keep them in the habit of eating it. 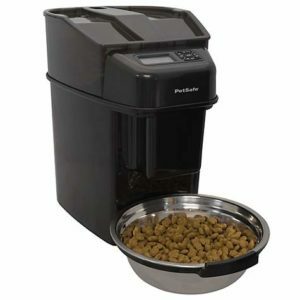 Once your cats are used to eating dry food on a daily basis, you can think about getting an automatic cat feeder. Even though it might be possible to leave out all the cat food they need for three days, it is not advisable. The first reason why this might not be a good idea is that the cats might eat all their food on the first day. Another reason not to leave the food out in the open is for hygienic reasons, since you never know what might get into the food when you’re not around. An automatic feeder can help limit the problems associated with just leaving food out and hoping for the best. There is a wide range of automatic feeders, some with more features and options than others. If you want to get the simplest automatic feeder, a gravity feeder will work even if there is no power. The only downside of a gravity feeder is that they tend to dispense quite a lot of food at one time. If you want the next step up, an electric automatic feeder would be the next option. These feeders will dispense smaller amounts of food at set time intervals. 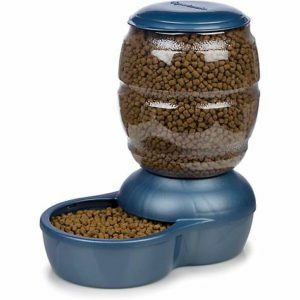 And if you want a feeder that will provide your cats with food, and give you some peace of mind. 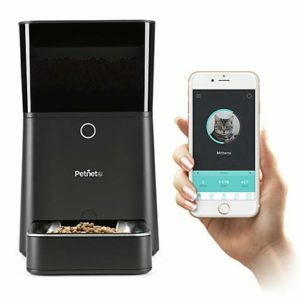 You can get a smart feeder with a built-in camera, so you can make sure your cats are eating while you are gone. Water is the one thing that all animals need. And three days is about the limit most animals can live without water. Making sure your cats have enough water while you are gone, should be one of your most important concerns. 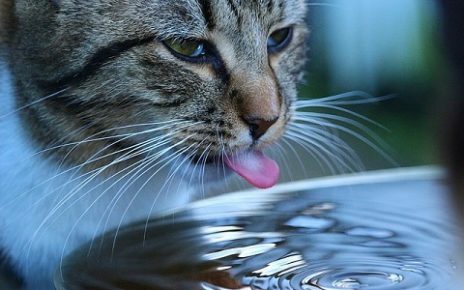 There are a number of reasons why your cats might run out of water when you are gone. The first one is you just didn’t leave enough water for them. It’s easy to underestimate how much water a cat needs. When your home with your cats everyday, you can just fill their bowl when it’s empty. This won’t be possible when your not home. 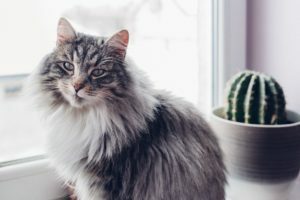 So you will need to understand your cat’s true water needs. 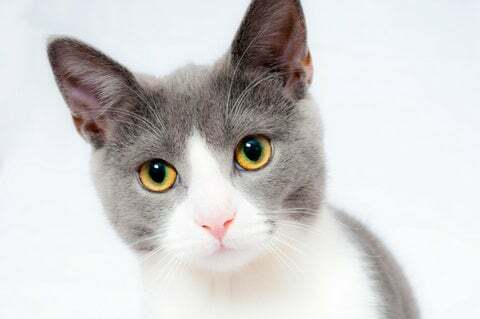 If you need a good rule of thumb for how much water a cat needs each day, the amount they need is one ounce of water for every pound they weigh. Another reason your cats may run out of water, is if their bowl of water was spilled. This could easily happen right after you leave, which would mean your cats would be without water for three days. So to be sure this doesn’t happen, get a very stable water bowl that is not easily tipped or spilled. And the final thing your cats will have to deal with, as it relates to their water is freshness. When water is left out for a long period, it can get all kinds of debris in it. From dirt, hair and the cats own saliva, all of these things will build up in the water the whole time you are gone. And since no one will be home, the cats won’t have any access to clean water until you get back. 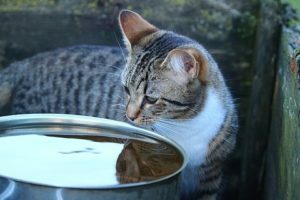 For more information on a cats water needs, you might also be interested in this article on how to get a cat to drink more water. One solution to most of these water-related problems is a water fountain. 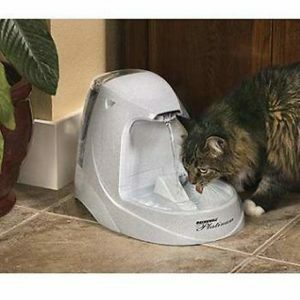 A pet water fountain will provide your cats with all the fresh safe drinking water they need. When picking out a water fountain for your cats, make sure it holds enough water to last for as long as you are gone, with some extra for added safety. Pet water fountains are also very hard to tip over, so you won’t have to worry about that happening. And most pet water fountains have built-in filters, to keep the water fresh and clean for days on end, which is perfect for when you are gone. The cleanliness of your cat’s litter box should also be a concern. While it’s most likely true that your cats will use the litter box even if it is somewhat full. They will not be very happy about it, and this might lead to them doing their business outside the litter box. Or they might perform other acts of protest throughout the house. Just like you wouldn’t want to be stuck in a house with toilets that didn’t flush. 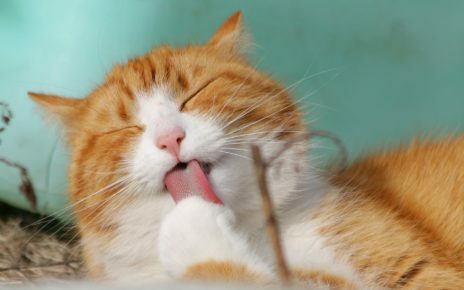 Your cats would prefer if they didn’t have to live with a full litter box while you’re gone. A relatively easy way to help solve this problem is to supply the cats with multiple litter boxes. If your cats aren’t used to using different litter boxes, try getting them used to it before leaving them alone. By giving them at least two litter boxes, it can help spread out the waste, so the cats won’t have to use a full litter box while you are gone. A better option would be to switch your cats over to a self-cleaning litter box. This change could be made permanent, since the benefits would carry over to when you are home as well. 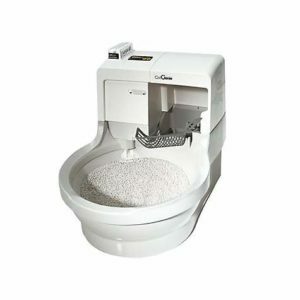 A self-cleaning litter box will guarantee your cats always have a clean litter box anytime they have to use it. And they do really solve one of the more dreaded chores we have to do as cat owners. 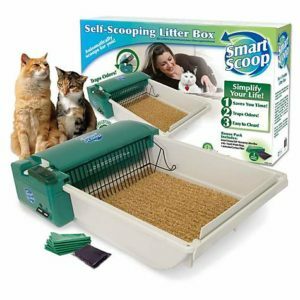 The self-scooping litter boxes are usually a little more familiar and easy to set up. And they tend to be a little more affordable as well. They work by raking the waste from the litter box into a storage compartment for later disposal. 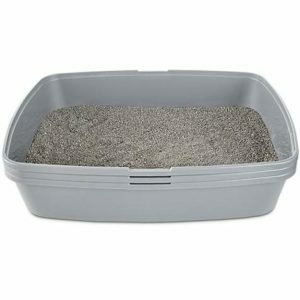 Self-scooping litter boxes are perfect if you are leaving your cats alone for three days, since most are designed to be emptied that often. The self-cleaning models are a little more involved and require the use of a special litter. 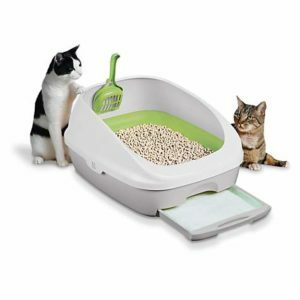 But they provide a more complete and hygienic solution for managing your cats waste. The best models of self-cleaning litter boxes never have to be emptied. They achieve this by using the house’s plumbing to dispose of the waste. And after they remove the waste, they go into self-cleaning mode, and clean all the litter with a specially formulated sterilization solution. If you want a litter box that will not only handle your three days away, but will also take care of itself indefinitely. Then a self-cleaning model is the best all-around solution currently available. If all of the things you have to do to make your time away safe and pleasant for your cats is overwhelming. 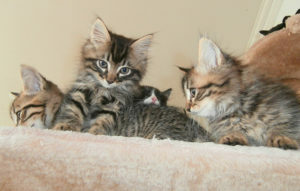 A pet sitter can provide your cats with the level of care, that is similar to what you could provide if you were home. 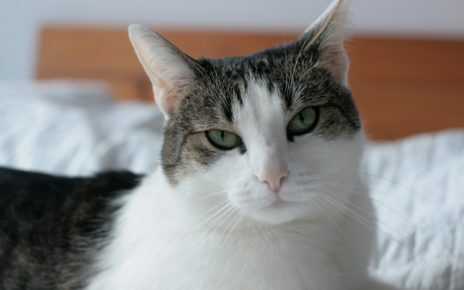 If you really want total peace of mind, that your cats are well cared for, you really can’t beat a good pet sitter. If you have a family member or a very nice neighbor you could ask them to watch your cats while you are away. And since cats are pretty easy to care for, the amount of time they would have to commit would be minimal. Changing the water and feeding the cats would be a quick task for anyone. They could do it as a favor or for a little bit of money. The only thing you might feel a little shy asking someone to do is to clean the litter box. If litter box issues are a problem, you can implement the litter box strategies mentioned above. If you’re asking if you can leave your cats alone for 3 days. It probably means you don’t have someone to take care of your cats. In that case, there are very good companies like Care.com that have well vetted and qualified pet sitters available. 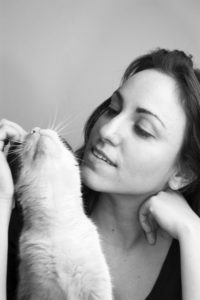 Some of the pet sitters on Care.com are actually certified, veterinary assistants. If you hire a veterinary assistant to watch your cats, you could even leave a cat with medical needs with them. So you would be sure they were given their medications, and any emergencies could be properly addressed. With a high-quality pet sitter, you get the best of both worlds, the caring you might get from a friend or family member, and the professionalism of a boarding facility.